The unlikely has happened! We got PCS orders! This has been in the works since last autumn, when Nate applied for a Base of Preference transfer. We listed several bases we'd like to be transferred to and by April of this year, we found that it had been denied. Which, to me, was not a surprise. I had expected it to be rejected. We're at a decent base, Nate's career field is in high demand due to his experience on the aircraft, and Sami's Q-coding makes it difficult to get orders. When it was denied, Nate did some digging and found some things he could do to make another request. When he did, I half heartedly went along with it, sure that it would be rejected again and that we would be here in Phoenix for the next few years. We had been putting off buying a house because we didn't think we'd be here for too long, the BOP or Korea tour were always on the peripheral of future plans. The idea of Sami attending high school here wasn't high on our list and we've never really adapted to the weather and constant dust. Nate has been wanting to get back to an active command instead of a training unit and I'm never a fan of constant sunshine. A few weeks ago, while I was getting ready for the Taylor Swift concern with Sami, I got a text from Nate saying that he has noticed the BOP had been approved. But that it didn't list exactly where we were going. Our assumption had been Dyess or MacDill, both has been high on the list, Dyess is somewhere we've been before and the real estate is really affordable there. MacDill also has a lot of the same things Nate's career is focused on and if we moved there we'd have a built in family with my Tampa friends. But Alas, the military is constantly keeping us on our toes. It wasn't Dyess, it wasn't MacDill, it wasn't even McChord. . .
No..We're going to the one place on the list that neither of us remember how it got on the list in the first place. Dover Air Force Base, Delaware! We'll be less than 2 hours from Washington D.C, an hour and a half from Philadelphia and 2 hours 45 minutes from New York City. It's definitely going to be a major change. From constant summer to four seasons. From desert life to the Chesapeake Bay. We told Sami last week before the end of school so she can prepare and she took is extremely well. She's very excited about all the options for day trips we will have. She'll be able to experience smaller schools, and experience life on the East Coast. We have a somewhat short turn around. Nate's official report date is the end of September, and our departure date is in mid August. Ideally, we'll be out of Phoenix around the middle of August so that we can get settled into Delaware before school starts. There are lots of things left to do. And as it's the military there is always a chance that things will change. But we're excited for our next adventure. Are you moving this summer? Congrats on getting out of Phoenix since you didn't like it. Hope the move went smoothly and everyone has settled in there in Delaware. The proximity might be nice. 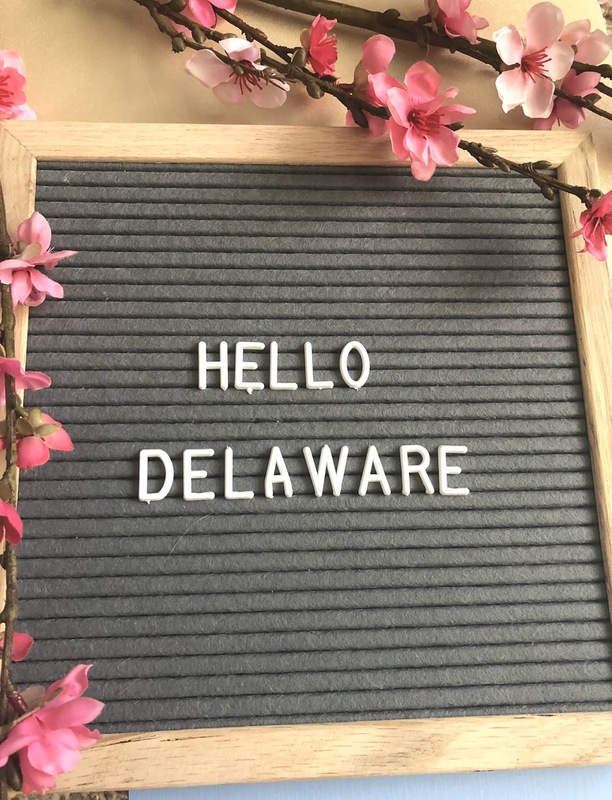 I don't anything about Delaware, never been there. Hope you'll pop back and let us know how it goes. I'm out blog walking folks on my reading list, some I've not visited with in a good long while. I'm also updating my reading list, as I was amazed to see so many who's blog don't exist any longer...would have thought they would automatically fall of the reading list, but apparently they don't. Others haven't blogged in a couple of years and so am deleting those as well. I guess I was over due to do some maintenance on the list. Christina Miller 2016. Powered by Blogger.